HSE trim. Leather Interior, Multi-CD Changer, iPod/MP3 Input, Dual Zone A/C, Keyless Start, All Wheel Drive, Alloy Wheels, Premium Sound System, Panoramic Roof, Edmunds.com explains Excellent off-road capabilities for a car-based SUV, comfortable ride, roomy cabin.. READ MORE! KEY FEATURES INCLUDE Leather Seats, Aluminum Wheels Rear Spoiler, MP3 Player, Privacy Glass, Keyless Entry, Child Safety Locks. EXPERTS CONCLUDE Excellent off-road capabilities for a car-based SUV, roomy cabin. -Edmunds.com. 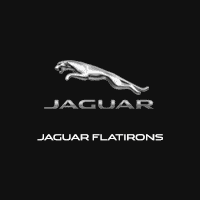 WHO WE ARE Land Rover Flatirons is different. We have assembled a team whose goal is to deliver the best ownership experience possible to everyone that chooses to own a Land Rover or Range Rover. Our pre-owned cars are reconditioned to a level unequalled in the market. Please confirm the accuracy of the included equipment by calling us prior to purchase.